Ajax make the journey to the Allianz Stadium on Tuesday night as they face off against Juventus in the second leg of their Champions League quarter final tie. In the previous encounter, the result ended as a 1-1 draw, with Cristiano Ronaldo putting the visitors in front on the stroke of half time. David Neres was the man who grabbed the equaliser with a brilliant strike immediately after the break, and the Dutch side will need more of that quality in this leg if they are to advance into the next round. Juventus’ form over the last few weeks has been slightly disappointing, with three wins, two draws and one defeat in their past six outings. After getting beaten by Genoa away from home, Juve then took maximum points from their games against Empoli, Cagliari and AC Milan, keeping two clean sheets during that time. The match in the Netherlands versus Ajax was a surprise as after eliminating Atletico Madrid from the last 16 in such dramatic fashion, many expected Allegri’s men to simply roll over the Eredivisie league leaders. That was not the case though, and Ajax put up more than a good fight in a performance which could easily have seen them win the affair. In Juve’s most recent matchup, they were on the wrong end of a 2-1 scoreline upon their visit to the Stadio Paolo Mazza against SPAL. 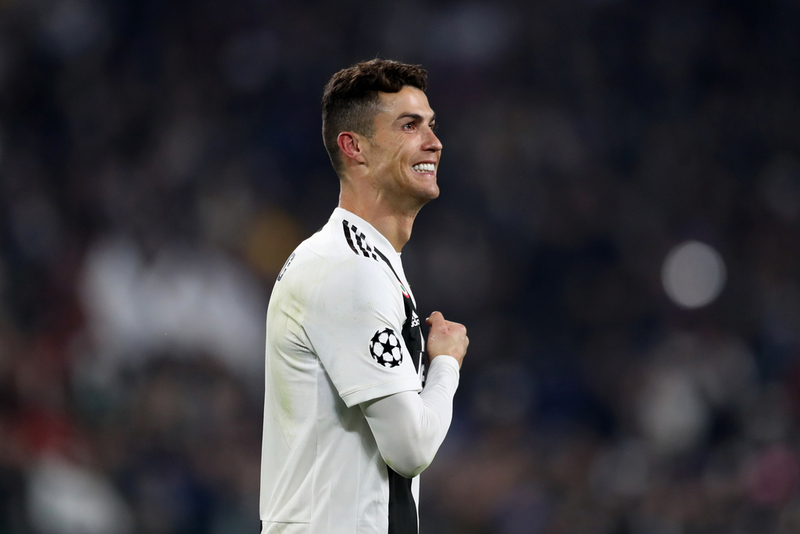 Unsurprisingly, Cristiano Ronaldo has been the main man for Juventus throughout the campaign, both domestically and in European competition. With nineteen league goals and five in the Champions League, the Portuguese Euro 2016 winner is the most important individual at the club. Mario Mandzukic has also been amongst the goals with eight to his name, while Moise Kean, having notched four in his last five, will be confident of netting again here. In terms of assists, Ronaldo also sits atop in that department with eight, two clear of Mandzukic and four above Miralem Pjanic. Ajax have been in stellar form recently, not losing in any of their last five games in all competitions by drawing once and winning the other four. Succeeding a comfortable 3-1 victory over PSV Eindhoven towards the end of March, Ajax then saw of FC Emmen in their opening clash of the new month by five goals to two. Then came the 1-4 away thrashing of Willem II as Donny van de Beek, Joel Veltman and Hakim Ziyech all got on the scoresheet. Four days later, the first leg against the Italian champions arrived, where Neres made his name known all around the globe by curling the ball past Wojciech Szczęsny to level the score right after the half time break. This result undoubtedly gave Ajax plenty of confidence, which was demonstrated in their 6-2 beating of Excelsior last weekend. Former Southampton attacker Dusan Tadic has enjoyed a fantastic season in the Netherlands, scoring twenty-two goals in just thirty league matches and putting in an incredible performance at the Santiago Bernabeu during the preceding round of the Champions League. Tadic has provided three goals for teammates and netted twice himself in his last three appearances for the club, with both goals coming last time out against Excelsior. Hakim Ziyech and Klaas Jan Huntelaar have also hit the net a number of times in this campaign, racking up twenty-nine between one another, and it is Ziyech who holds the number one spot on the assist leaderboard with twelve.